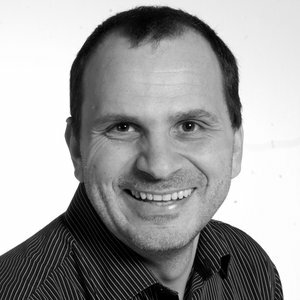 Fabio joined Leeds College of Art in 2013 as Programme Leader of Creative Advertising, having previously taught full time at the University of Leeds for almost a decade. During his previous employment Fabio taught students on Master and BA Hons courses in both Advertising and Graphic Design. Before entering education, Fabio has had many years experience working in the creative industry and his work has spanned many areas of design, although predominately centred on branding design, implementation and brand promotion. For his Master, Fabio specialised in Graphic Design and his work included explorations in areas of organisational and place branding as part of this Postgraduate research. His current role involves the management and leadership of the Creative Advertising department where he is responsible for the direction, monitoring, planning and development of the curriculum with an emphasis on leading a vibrantly rich environment for staff and students in which passion and curiosity drives all aspects of creativity. In relation to pedagogic accomplishments, Fabio taught students at international level, whilst invited at China’s prestigious Tsinghua University. In 2008 and 2009 he was asked as a Visiting Professor to developed a series of lectures and collaboration projects with 3rd Year undergraduate Graphic Design and Foundation students, as part of their assessed coursework. Fabio research interests are linked to the exploration of storytelling in relation to new media within Creative Advertising and the many unexploited dimensions. Prior research interests included the study of the creative aspects of memory and digital technologies in a co-created project “Objects of Storytelling and Digital Memory” which was presented at the 4th Global Conference: Digital Memory in Prague.